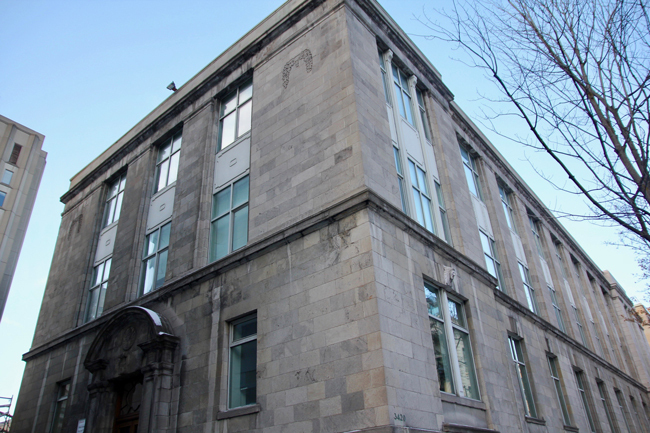 Built in 1927 by Percy Nobbs, Professor of Design at the School of Architecture at the time, this sturdy, three-storey stone structure is located on University Street just north of the Otto Maass Chemistry. Built in 1927 by Percy Nobbs, Professor of Design at the School of Architecture at the time, this sturdy, three-storey stone structure is located on University Street just north of the Otto Maass Chemistry. The building is the longtime home to the Pulp and Paper Research Centre, and has had many noteworthy discoveries made there, including a means for mass producing artificial vanillin flavouring, found in many food products today.